We study two embedding problems for upward planar digraphs. 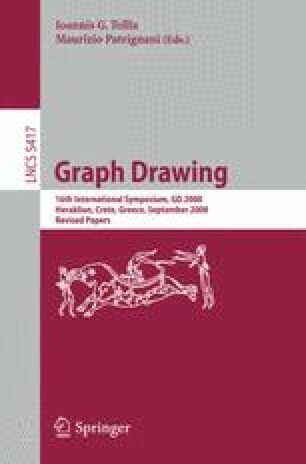 Both problems arise in the context of drawing sequences of upward planar digraphs having the same set of vertices, where the location of each vertex is to remain the same for all the drawings of the graphs. We develop a method, based on the notion of book embedding, that gives characterization results for embeddability as well as testing and drawing algorithms. This work is partially supported by the MIUR Project “MAINSTREAM: Algorithms for massive information structures and data streams”, and by NSERC.